Well, I finally made my first real off road journey with my bike. I was talking for a long time about this and it finally happened and it will definitely not be my last ;-). The Pyrenees are a perfect preparation for my future journeys, such as Marocco, which I hope to do one of these years. The first day was actually so hard, both mentally and physically. 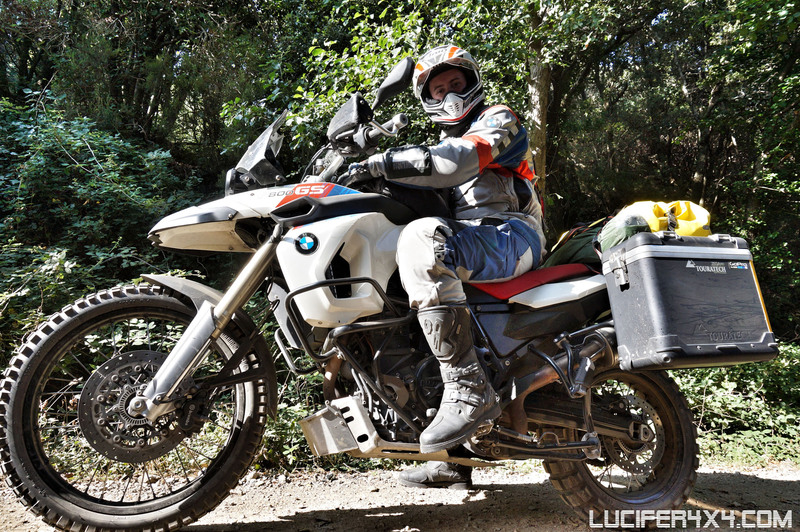 It was the first time I ride such a heavy loaded bike on difficult terrain, it was hard work. You have to learn to adapt to riding on difficult terrain so fast. Just because you are not used to riding on difficult terrain you have to concentrate hard and you get tired really fast. In the afternoon it also starts raining, rocks are getting slippery and our gear is soaked. But … after day 1 it was all getting better and better. I felt much more confident on the bike after 2-3 days riding. The sunny weather is awesome to ride in and the landscapes we see are really astonishing. And also, the most amazing thing is this really special group of people ;-). It was a wonderful experience and I would do it again in a heartbeat. The journey back home could have gone better. I did 1250 km in 13 hours. Trouble started around Paris, about 350 km from home. The traffic on the ring road of Paris was completely stuck, I lost 1,5 – 2 hours there. It was pouring rain and I really had to pee 😉 but on the ring road there are no parkings to stop ;-). On some places only 1 lane was available because of a flooded highway. Oh well, I arrived safely at home around 22:00. 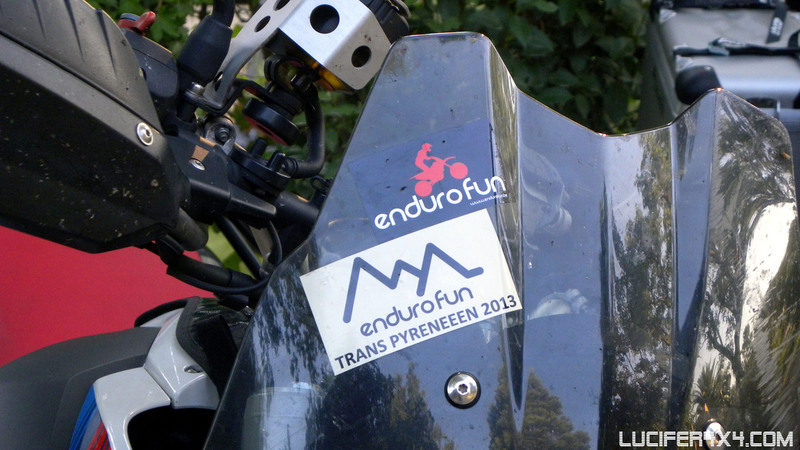 I want to thank Bart and Maja of endurofun.be for this really amazing and unique experience.